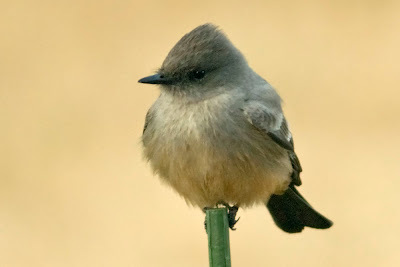 We have a Say's Phoebe that frequently visits the neighborhood. Today, it perched on a stake about 10 feet outside our living room window. I tried to get a clearer shot outside, but by the time I got in position it flew away.